Old English saying, what goes around comes around, and luckily for me that is so true. Some 60 years ago I was lucky enough to be learning woodwork at school. I remember my first project, it was a table lamp. Even back then in the 1950’s we were recycling, the oak I used for that lamp came from an old school desk. Then at 15 years of age woodworking ceased replaced by Latin and French. The shame is my career, even my life, may have been different if I had carried on woodworking, who knows. Move forward 7 or so years and by then I was a radar engineer in the Royal Air Force. At my last unit, before I got married, we had a hobbies room with a lathe. Great but nobody could show me how to use it, I had to wait nearly 35 years before I had another go. What skills do you need in married life when money is tight, yes woodworking, and so I bought a DeWalt Radial Arm Saw and started in making a lounge divider unit from white melamine coated particle board. That started my DIY bug and it has lasted the test of time. I ran my own computer business and went looking for a table saw and that ultimately lead me to into selling Australian & American woodworking tools for the last twenty years. So now that I have the right equipment and time for turning I find I am looking both to the past and the present for ideas and materials. When will your book publish and who is the publisher? I look forward to it being available because I find that often when I read a book that I am will also research the subject matter, at the same time, on the internet. It is fascinating and obviously, when you see a video on there it can also work in reverse. You find books on the subject. In the UK our local libraries are excellent and staffed by people who love books and to help people find what they are after. So good to hear from you, Roger! 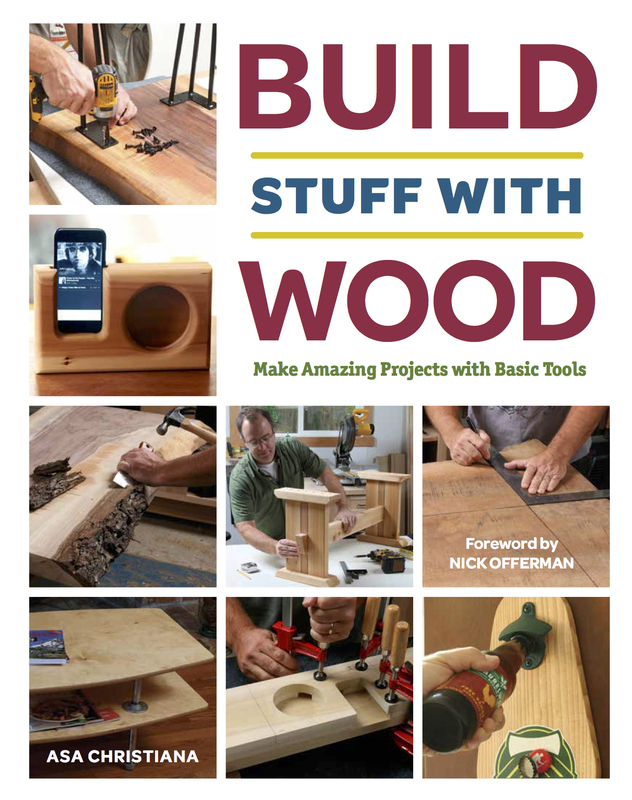 Lots in there for woodworkers of all skill levels, but especially about doing more with less. Tool advice, piles of projects, etc. Stay in touch. The maker movement has launched a whole new interest in handcrafts! Good to hear it’s happening in Birmingham!